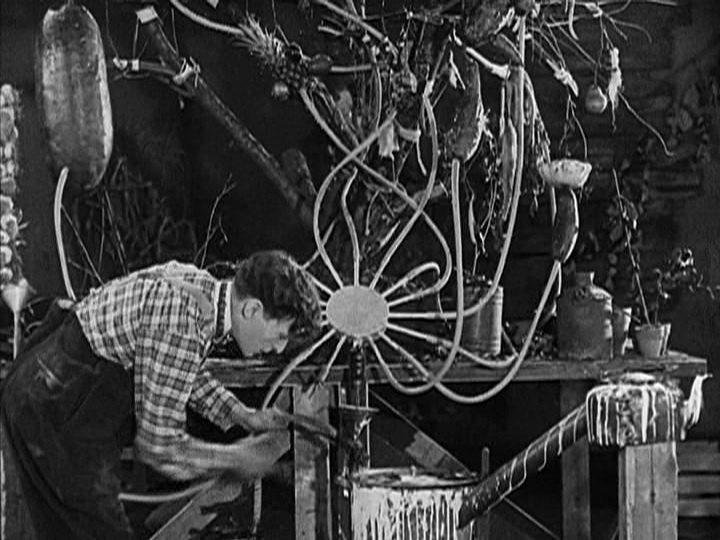 Charley Bowers’s mature comedies, made in the last years of the silent era (1926–1928) are brilliant surreal works that feature outrageous Rube Goldberg-like magical inventions. They actually work—well, at least in his films. In these comedies, Bowers is a young, often lonely inventor who gets involved in solving impossible situations. Will he somehow manage to save the day and win the girl of his dreams, or will his harebrained solutions somehow backfire? Find out when the San Francisco Silent Film Festival presents four rarely-seen Bowers comedies at the Castro Theatre on the morning of Sunday, May 31. Bowers’ films are filled with food adventures and it is a natural for EatDrinkFilms to co-present this show. Credit: San Francisco Silent Film Festival. Charley’s clean-cut slapstick humor didn’t fare well when movies found their voice, so you may not be familiar with his films. They are full of visual treats, but commercially, they were no match for exciting new talkies with snappy dialogue by the Marx Brothers, W.C. Fields and Mae West. Fortunately, film archivists in Europe and Canada began to rediscover and exhibit his work in the late 20th century, and today about 15 of them have been unearthed and restored. One of the archivists responsible for these restorations is Serge Bromberg. Not only is Bromberg coming here from Paris to show four of Charley Bowers’s finest works, as an accomplished musician, he will accompany them on the Castro’s organ. Serge’s 75-minute program features an excellent selection of films, so if you love to laugh, this is a prime opportunity to have a great time with a like-minded crowd. You will be surprised and delighted by the rich variety of impossible gags that Bowers created. Serge is also an excellent master of ceremonies. His introduction to the program is bound to include a few fascinating stories about Charley’s career, and perhaps some information about how he found some of these lost films. Serge has presented many wonderful programs of obscure works at past incarnations of the San Francisco Silent Film Festival, so come and be entertained. Image from A Wild Roomer. Credit: deeperintomovies.net. The program includes A Wild Roomer and Now You Tell One from 1926, Many a Slip from 1927 and There It Is from 1928. One thing that makes Bowers’s work unique and wonderful is his uniquely wacky flair for invention. In A Wild Roomer he is a broke inventor who will inherit a relative’s estate if his invention is a success. If it is a flop an evil uncle, who looks a bit like Boris Karloff, gets the estate. The invention is so big, complex and absurd that you will want to cheer on Charley as his uncle tries to sabotage his every move. Image from Now You Tell One . Credit: mubi.com. In Now You Tell One Bowers is invited to a liars club to explain why a club member found him sticking his head in a cannon barrel and trying to light the fuse. If the opening sounds weird, wait ’til you learn why. I don’t think it will spoil the surprises in store if I tell you that Charley has invented an agricultural chemical that results in plants growing into impossible things. Imagine what might happen if you put a drop of the stuff on the plant we call a horsetail. 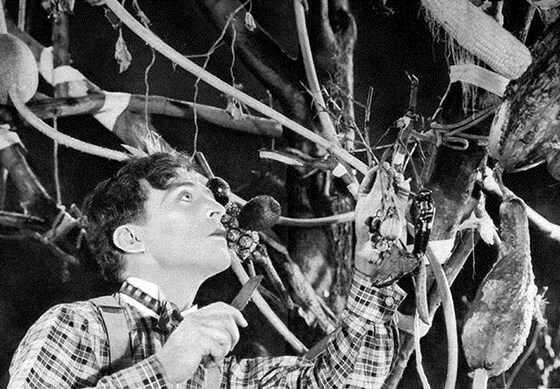 Although that doesn’t occur in this film, Bowers’s comedy logic might have resulted in the plant turning into a strange equine. What happens in the film is weirder, and his scientific breakthroughs should amaze you. Parts of Many a Slip are predictable slapstick, as Bowers is trying to invent the perfect non-skid banana peel. That doesn’t explain why his house has a large propeller on it. Inside, there are some mighty unusual things happening. Image from There It Is. 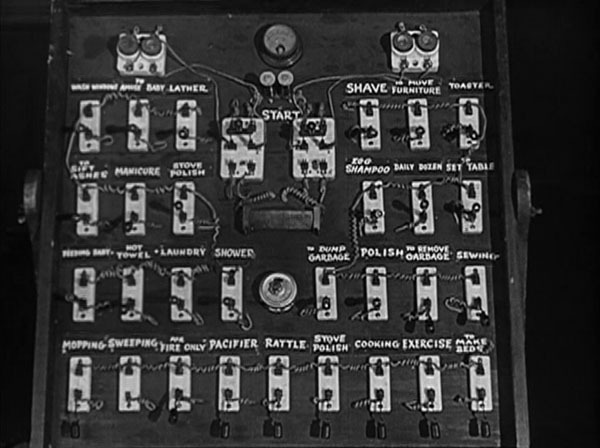 Credit: Massachusetts Institute of Technology. My favorite film in the program is There It Is , a trip into a mysterious surreal world where there’s no logical explanation for anything that happens. Bowers may or may not be a detective from Scotland Yard. In any case, he is not from the one in London. He is invited to investigate a house in the US that appears to be haunted by the Fuzz-Faced Phantom. This fast-paced work is full of visual gags, including some special effects that allow people to disappear as they walk through walls. 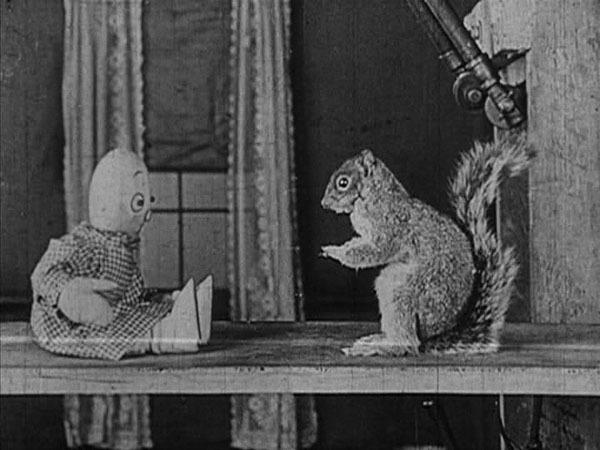 Bowers began his film career in animation just as the US was entering WWI. He directed Mutt and Jeff cartoons at a studio in the Bronx. In 1919, he left animation for ugly reasons that are only hinted at in biographies. But in 1926, he reemerged as a comedian in films that often contain stop-motion special effects. By the time sound films arrived, he had perfected photo-realistic techniques that are amazing in his first sound film, 1930’s It’s A Bird , even if his script seems old fashioned. 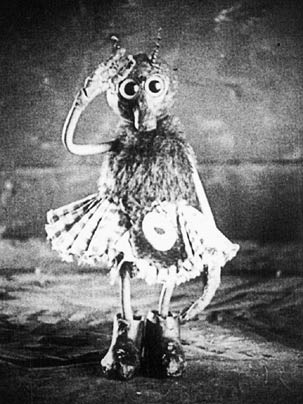 In the film, a metal-eating bird hatches an egg, and right before your eyes the small dark blob in the shell grows into a full-sized Model T Ford. Although the climax of the film is wonderful, Charley’s nice homespun, wholesome character came across as old-fashioned, and unfortunately, the film didn’t result in a contract to make a series of talkies. Bowers did take on a few short projects after 1930, but his career was basically over. When he died in 1946, he was a forgotten film artist. Getting up early on a Sunday morning may not be something you like to do, but it is well worth the effort if the reason is discovering Charley Bowers. Seeing him at the Castro on a giant screen with Serge Bromberg talking about him and accompanying the films on the theatre’s organ is an added plus. And you are sure to witness some mighty strange events, including actual elephants walking up the steps of the US Capitol. EatDrinkFilms is proud to be co-presenting The Amazing Charley Bowers at the San Francisco Silent Film Festival. 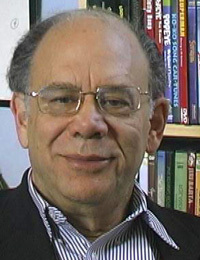 Karl Cohen has been teaching animation history at San Francisco State University since 1993 and has been writing about it since the late 1970s. 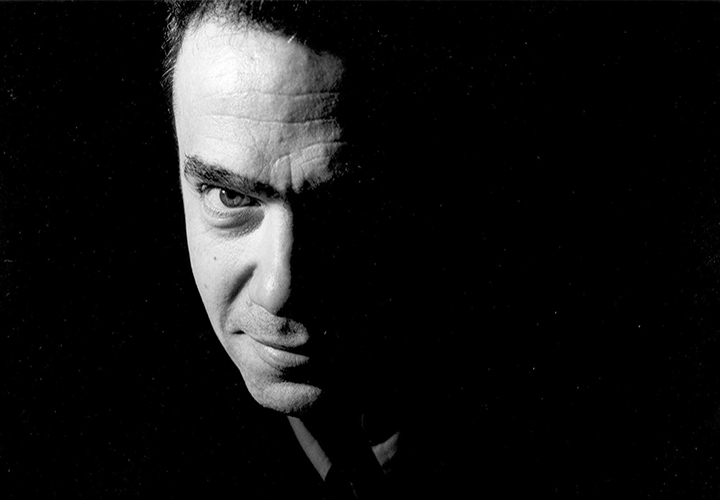 A notable collector of animated films, he is the author of Forbidden Animation: Censored Cartoons and Blacklisted Animators in America. As the president of ASIFA/San Francisco, he edits and writes for the ASIFA/San Francisco newsletter, read by animation fans around the world. He is currently writing a book on animated propaganda. This entry was posted in Films, Films: Festivals and tagged animation, Charley Bowers, Films, Karl Cohen. Bookmark the permalink.